Oil prices are growing because of the premises for the OPEC+ decision to reduce production. Brent contracts for the supply in March have grown to $ 62.2 per barrel, increasing by 0.9%. Futures for WTI with similar target dates have grown by 0.7% to $ 54.6. On Wednesday, Brent was growing to $ 61.7, while WTI- to $ 54.2 per barrel. In addition to limiting the OPEC+ production, there is another positive factor for oil. The Fed is making the monetary policy easier. On the one hand, this will boost the economic activity, and on the other hand, it will slightly weaken the dollar, which will have a positive effect on the “black gold” rate. According to the representatives of the authoritative agency Bloomberg, the growth rate of oil prices in January may be a record since April 2016. Then Brent grew by 16% for the month. WTI growth could be a record for the entire existence of this crude oil, which has risen by as much as 20%. Russia has already begun to cut production. Compared with October, the decline has amounted to 50 thousand “barrels”, while comparing with December the figure has risen to 100 thousand. Minister of Energy Alexander Novak has made the data public. 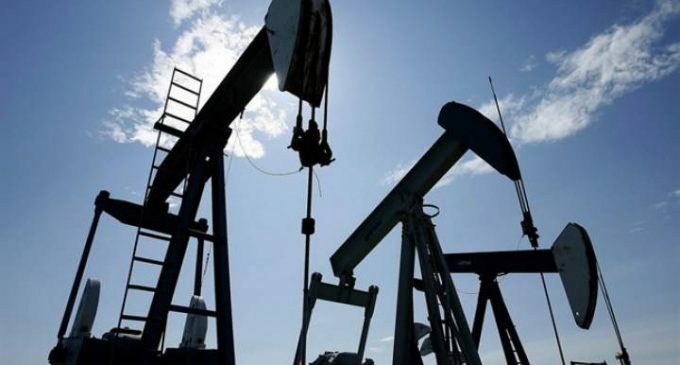 In the United States, the Ministry of Energy has published the data showing that the reserves in the country have grown by more than 900 thousand barrels, which is below the market expectations. Experts predicted an increase in reserves by about 3 million “barrels”. Reserves in Cushing have decreased by 145 thousand. The data on gasoline reserves indicate a decrease in reserves by 2.2 million barrels. Distillates have decreased by 1.1 million. The forecasts did not come true here. The market was counting on an increase in gasoline reserves by 2.8 million barrels and a decrease in the reserve of distillates by 2 million. Production in the United States remains the same – 11.9 million barrels per day. This figure has been a record since 1983. America has reduced purchases by 13%. Imports from Saudi Arabia have fallen to the figures of the end of 2017. Now the market is waiting for the negotiations between America and China, which will be held in the US capital on Thursday.